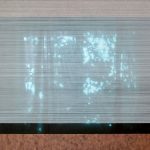 In August 2017 Caroline Jane Harris was selected by curator and writer Paul Carey Kent for the second ASC Studios Summer Open Exhibition and was awarded the prize of a solo show at ASC Gallery in June 2018. 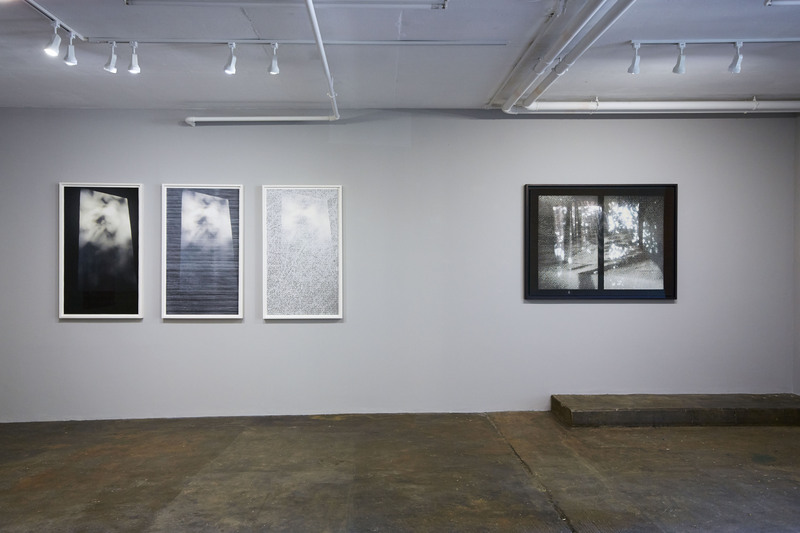 A Bright Haunting features works made from 2017–18 that continue and extend Harris’ exploration of the expanded photographic medium and image-making process, in dialogue with printmaking and drawing. 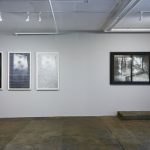 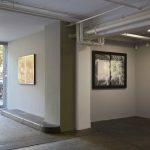 The artist posits photographic theories and concepts in relation to the medium’s history and current possibilities, layering interplays between analogue and digital processes, traversing 2 and 3 dimensions. 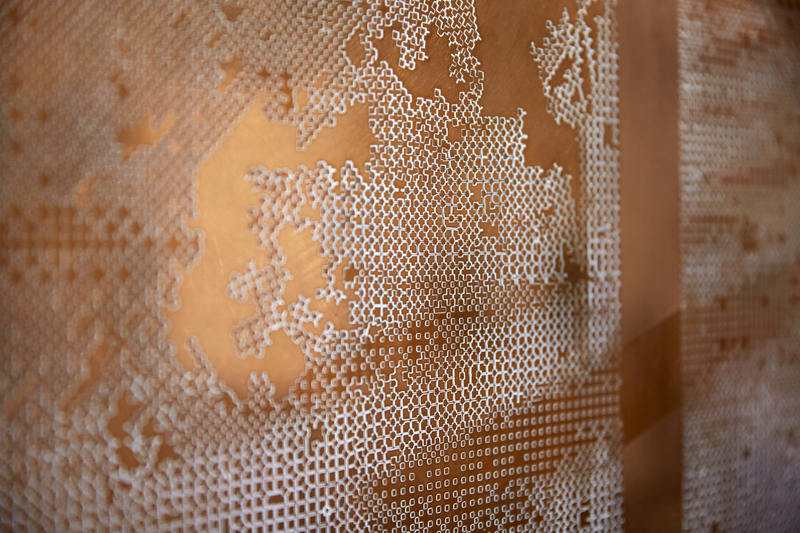 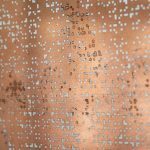 The exhibition features hand-cut digital prints, rubbings and etched-copper plates made from the paper-cut stencils. 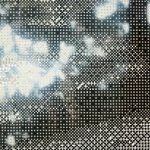 Harris has been collecting images primarily with her phone’s camera for the past ten years, favouring the speed, spontaneity and an immediate response from a mobile capture in order to form a relationship to what is and is not seen. 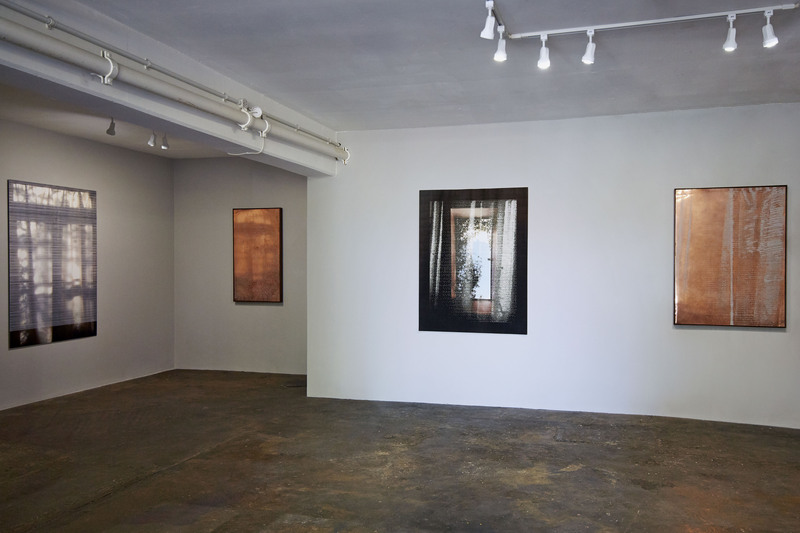 From her JPEG files she employs the low resolution from proliferated images, as a counterpoint to her slow, forensic examination of a single picture frame and its material insistence. 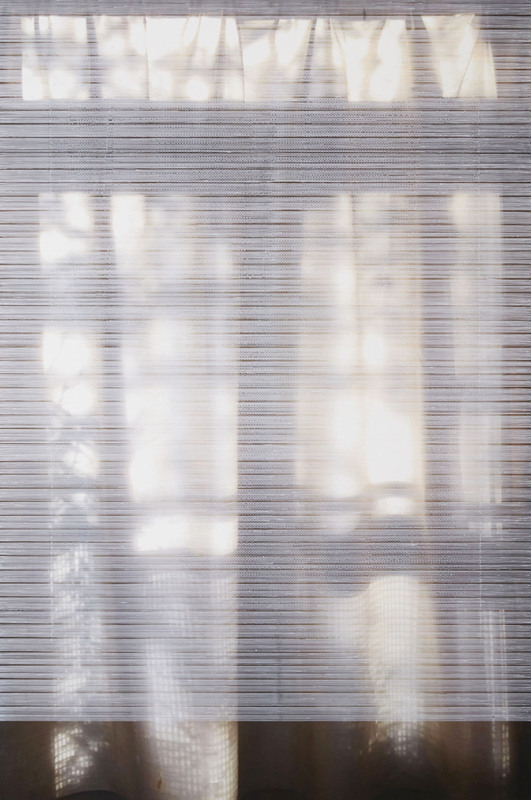 As the starting point for her solo show, Harris selected images of the surfaces through which we look, suggesting not only the world’s earliest surviving negative taken by William Henry Fox Talbot of a latticed window at Lacock Abbey, but the back-lit screens and virtual engagement of our contemporary existence. 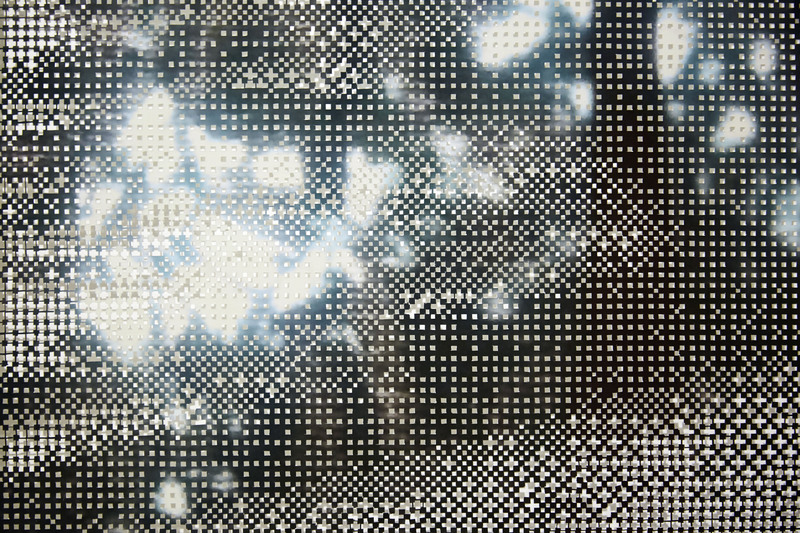 Once the process of making begins, the dialogue of the work’s formal elements takes precedent over subject matter. 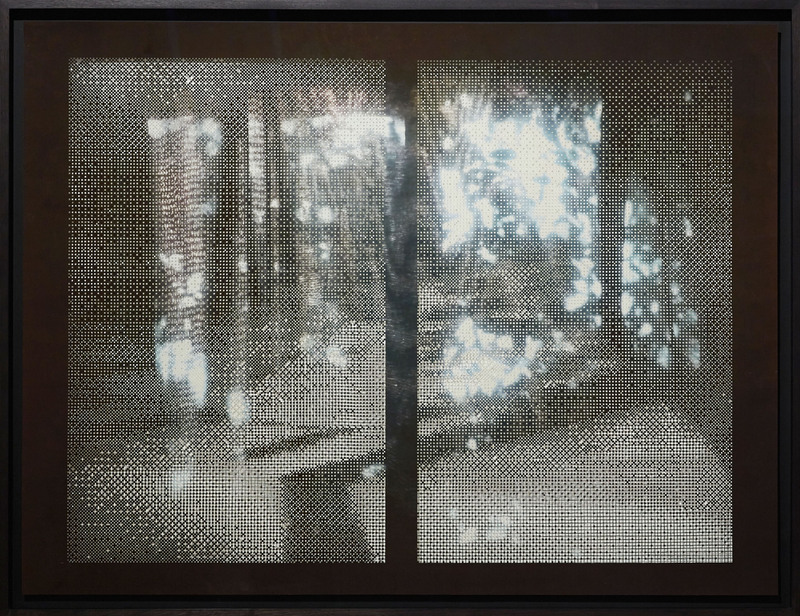 For ‘Shroud’, two photographs were manipulated and layered. 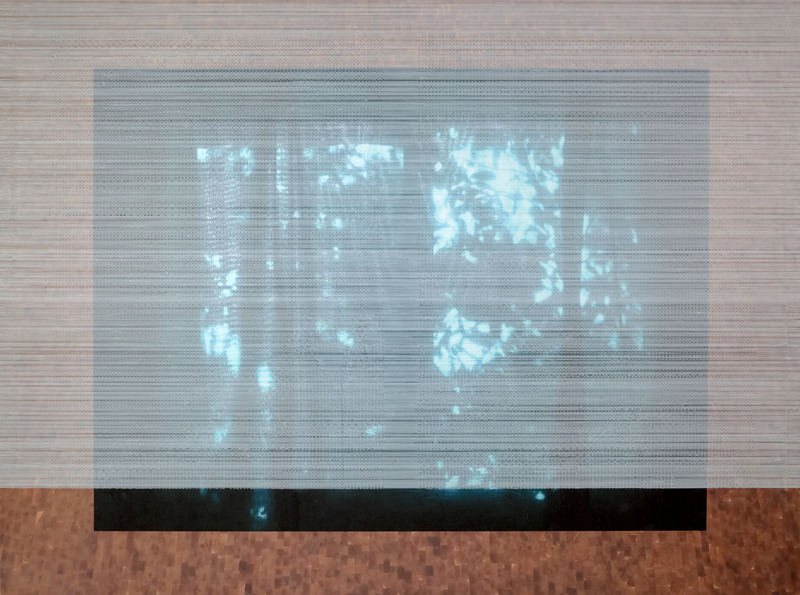 The first image features creeping foliage on a brightly lit skylight taken perpendicular to the camera lying down, documenting the experience of the subject in the environment. 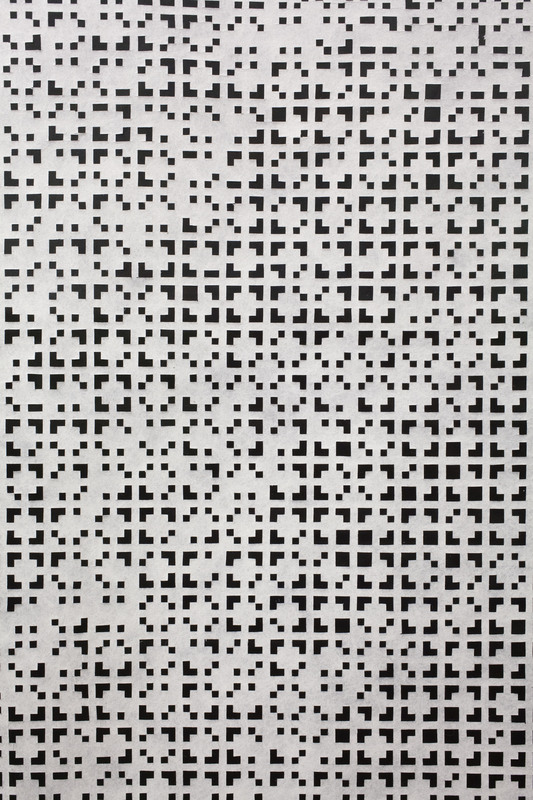 This was reproduced at a small-scale using a printer low on ink, re-photographed to capture the qualities of the physical surface and blown-up to expose the scaffolding of the virtual photo. 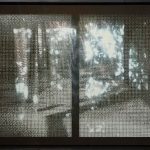 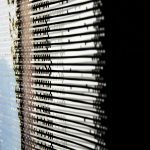 A second image of a tree-branch silhouetted against a curtain-covered window was turned into a binary ‘bitmap’ image, physically laid on top of the first print, and cut-out by hand with a scalpel, further embedding a relationship to that which has passed. 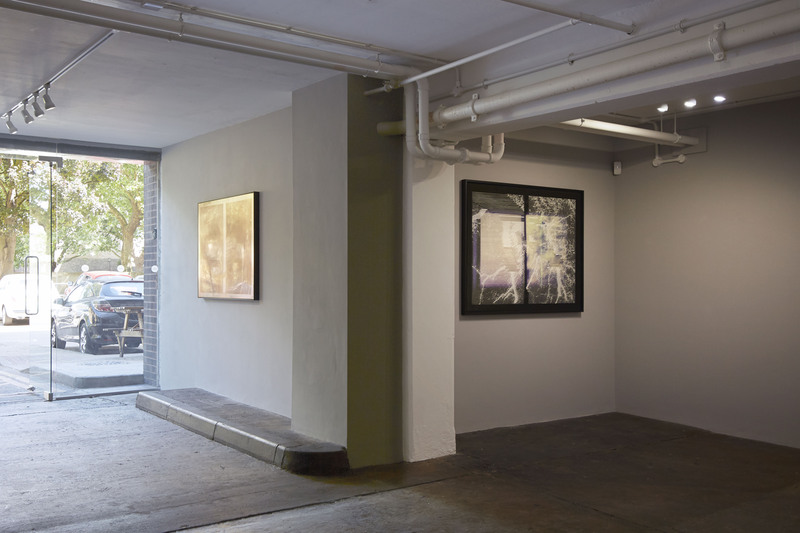 The work is installed unframed against a grey background with the white of the gallery wall activating the image from within, highlighting the dimensional qualities of the image-object and the viewer’s bodily adjustment from screen to 3D space. 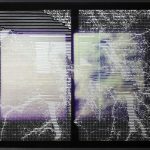 Harris’ works continually evolve and weave between dimensional states, charting the slow undoing of the picture plane and drawing comparison to the inevitable obsolescence of ‘new’ technologies. 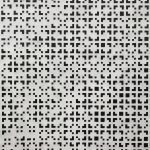 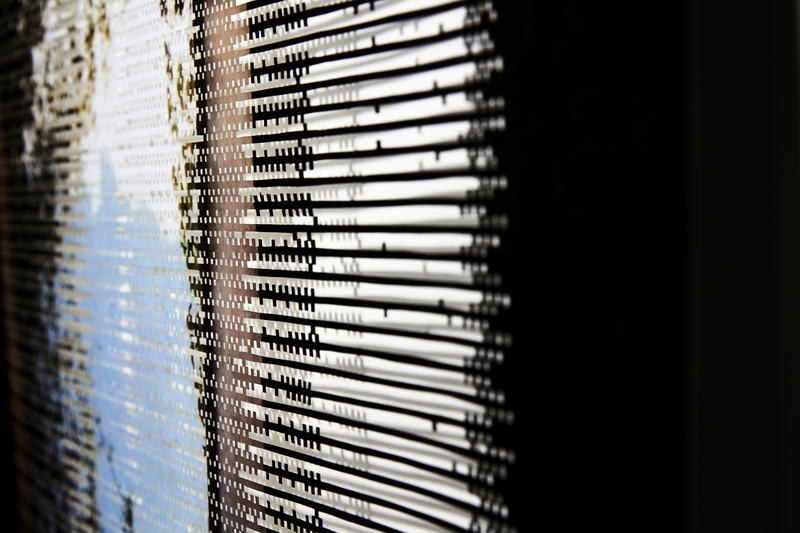 Using a large-format roller scanner, the detritus of the bitmap stencil for ‘Shroud’ was captured, indexing the plight of the machine as it attempted to read the excavated surface. 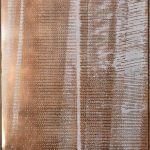 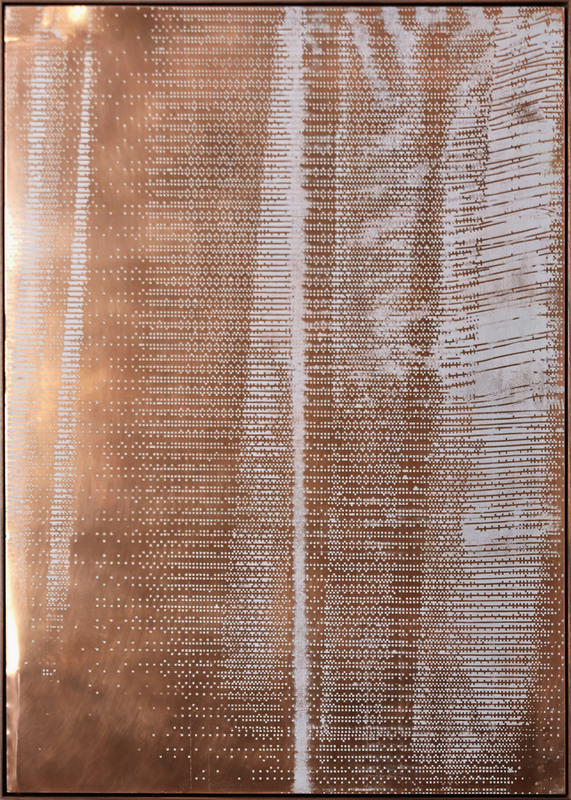 The resulting visual noise and drag, along with the negative cut-out space, was photo-etched into copper and inked up to create ‘Hard Copy (Shroud)’. 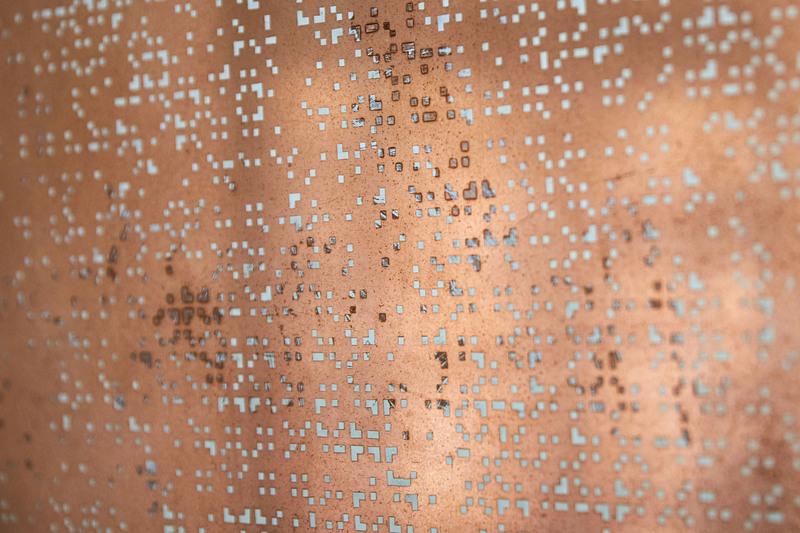 The ink drawing sitting at 0.01mm in the face of the metal contrasts with the viewer situated in the virtual space of the gallery, reflected in the copper. 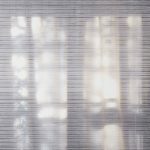 To coincide with the exhibition, Dr Jon K Shaw has written a text entitled ‘Bright Hauntings’ in relation to Harris’s practice. 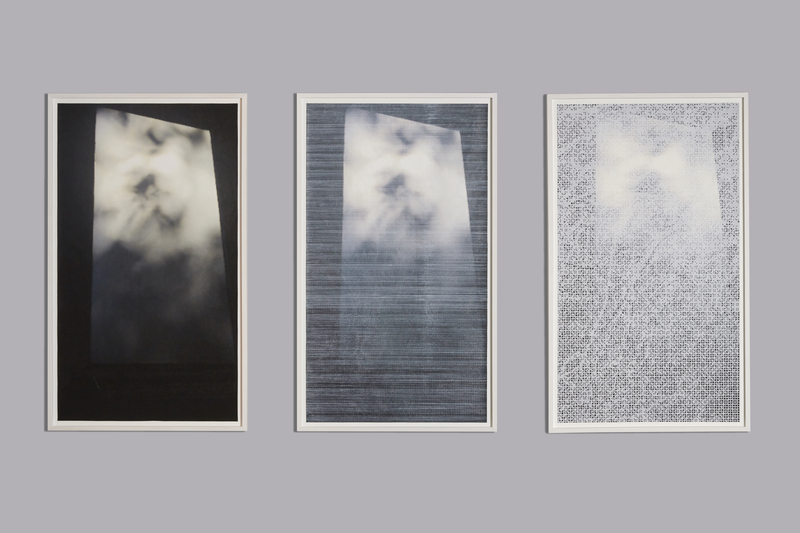 Shaw was Harris’s dissertation tutor during her Masters at City & Guilds of London Art School and their on-going dialogue has influenced and shaped her work. 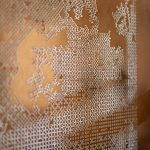 Caroline Jane Harris (b. 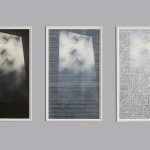 1987, London) received a Masters degree MA (Distinction) from City and Guilds of London Art School in 2015, where she was awarded the Norman Ackroyd Prize for Etching and the Roger de Grey Drawing Prize. 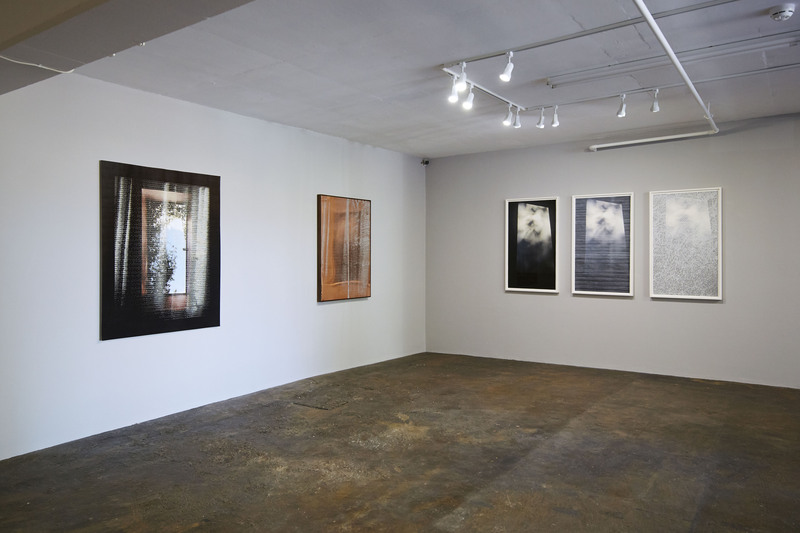 Harris was offered a two-year position as Research Printmaking Fellow at the same School 2016–18. 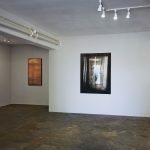 In 2016 Photofusion selected Harris for SELECT/16 a bursary award and exhibition at the gallery. 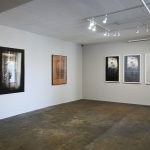 In the same year, Harris exhibited in Perfectionism (part III): The Alchemy of Making curated by Becca-Pelly Fry, Grin Gallery, London and was selected as an Artist in Residence at the Florence Trust, London. 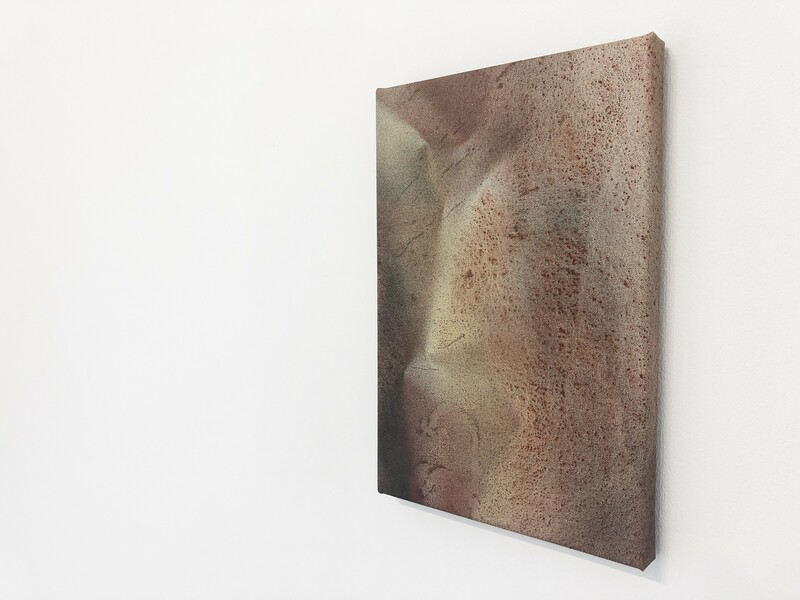 In 2017 Harris exhibited in EVERYTHING EXISTS NOW, at Kristin Hjellegjerde Gallery, London; The Royal Academy Summer Exhibition and was selected for Exceptional Graduate Award, curated by Rosalind Davis at Collyer Bristow, London. 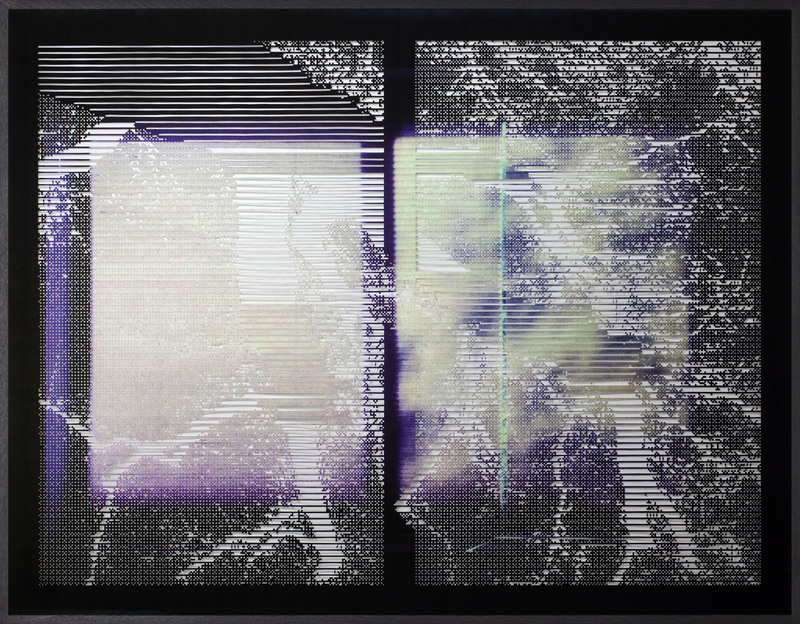 Harris is now represented by Kristin Hjellegjerde gallery.